Interesting reading Dave's report below of the Arboleas Birding Group's visit to the west of Almeria. Like me he has noticed that Shoveler numbers are rapidly declining as they make their return migration northwards. A little worrying about all the plastic filth at Las Norias and those ABS members attending the February meeting In Cabo de Gata on 16 February and taking in a stop at this site on the way up or back will see the ghastly mess for themselves. I'll be there Friday morning and trying not to be too distracted whilst birding. Little Terns would be a delight to see. Ssssh! Don't shout it too loud, but the weather seems to have changed for the better. As I drove Richard, Paul, Reyna and Peter down from Arboleas the temperature increased from 5C up to nearly 20C by the end of the day. Blue skies, sunny and very little wind. We met up with Alan and John at the Repsol Service Station (Jct 420). After a cup of coffee we headed for Las Norias lake, seeing a Cattle Egret perched on a power line on the way. As we approached the first causeway, we saw White Wagtail, Black Redstart and the first of numerous Cormorant. Richard saw a Robin and John a Black Headed Gull. I scanned the far shore and counted over 70 Cormorants resting or drying their wings together with one Little Egret and a few Grey Heron. We also saw Mallard, Red Crested Pochard, Coot, Moorhen and Great Crested Grebe on the water. John found some Crag Martin. On the right hand side, the best birds were 17 White-headed Duck in a raft. A line of a dozen or so Cormorants were combining forces to fish. Little Grebe were present. Alan found an elusive Shoveler. Most seem to have now departed. A lot less Chiffchaff as well. We heard the usual Cetti's Warbler. Also seen were Serin, Greenfinch and Stonechat. Moving round to second stop, half way round, we picked our way through the ever increasing piles of discarded rubbish. Alan found some Black-necked Grebes. A flight of Goldfinch flew over. A Sardinian Warbler was in the reeds. I then spied a Spotted Redshank in the rocky area, together with a Green Sandpiper and a Northern Starling. There were hundreds of the latter swarming around in large flocks. A Grey Heron flew out of the reeds below us. Richard thought it could've been spooked by a Purple Swamphen. We then spotted 4 Little Terns fishing over the far side. A Gadwall landed on the water in front of us. I spotted a flying Little Stint. Also seen were Meadow Pipit, Jackdaw and Blackbird. We moved to the near end of the littler pool. The fact it is only 500 metres from the Plastic Recycling factory makes the piles of discarded plastic sheeting all the more abominable! We saw more Red-crested Pochard, Mallard, Great Crested Grebe and Cormorants. We drove round to the little bridge. Paul spotted a Kingfisher and I saw a Snipe fly over. On the way to Roquetas we stopped for a coffee at San Augustin. We drove to the far end of the Roquetas salinas. As we crossed the causeway, a Marsh Harrier flew above us. Alan and John in the leading car also saw a Zitting Cisticola. We checked out the reeds and eventually John persistence was rewarded with glimpses of a Purple Swamphen. Greater Flamingos were, of course, present. We also saw a distant Shelduck. Mosquitoes rampant in this area! On the way to the next stop we added Magpie and Kestrel. There, Alan spotted Black-winged Stilt and Redshank and John had Lesser Black-backed Gull. We then moved on to the main pool. Large rafts of Common Pochard, Coot and Black-headed Gulls. A few Gadwall. Not the numbers of the previous visit. Also seen were more Marsh Harriers and Cormorants. We ended up with 52 species. Lovely weather in great company. 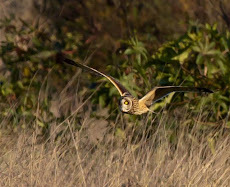 Archived blogs published before December 2012 are still available to view on the original Birding Axarquia blog. Simply CLICK HERE to be taken to the site. 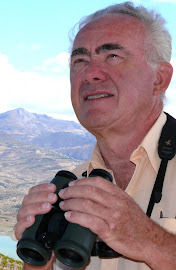 Birding Axarquia with Bob Wright is an introduction to the birds to be found in the Axarquia region of the Costa del Sol, Spain and the surrounding area. All are invited to comment upon entries and forward their own contribution(s). This site also, until further notice, incorporates the activities of the Axarquia Bird Club. All meetings are on a Thursday morning unless specifically stated otherwise. Meeting times 9.30 unless otherwise stated. Medical appointment for upcoming foreign travel on 17 January so wonder who might like to join me on this Saturday for a morning at the Charca de Suarez reserve near Motril. Birding the Odiel and Donana National Park. 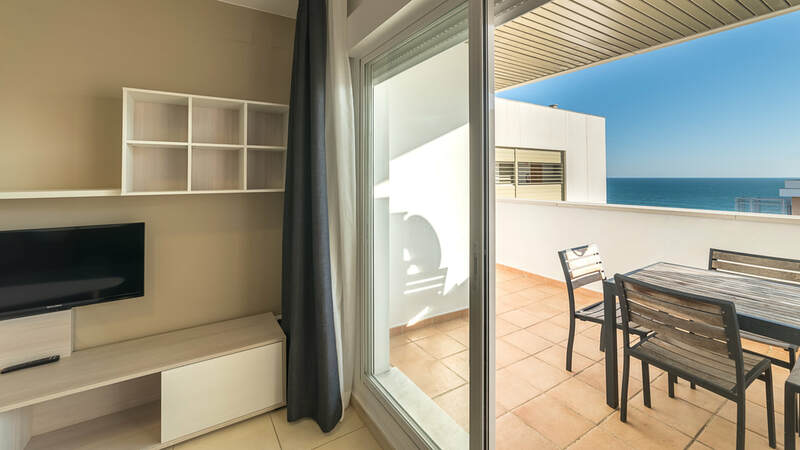 Now might be the time to think of taking a short break in a de-luxe apartment in Punta Umbria which gives easy access to both the Odiel Marshes and the Donana National Park. You might even take the short drive over the Portuguese border to the great birding sites around Castro Marim. Take a look at this special offer which is excellent value for money, especially if you want to combine your birding with a holiday. I retired at the end of 1998 having been a primary school headteacher for thirty years. After a couple of years undertaking some consultancy/ training work with headteachers, I moved to the Axarquia area of the Costa del Sol in Spain. After 13 years living on a mountain top near Velez Malaga overlooking Lake Vinuela to the north and the sea to the south we moved down to the coast at Mezquitilla and now have the beach within 20 metres of our rented property. I have been a birder for over fifty years and before leaving GB I was a qualified "Ringer" for the BTO, undertaking most of my studies in Staffordshire, Northamptonshire and Lincolnshire. All three counties being well away from the coast, it is not surprising that my main field of interest were those "Little Brown Jobs" (often referred to as LBJs), with a special emphasis on roost work in the autumns and winters and early morning visits to favoured sites, such as Charwelton on the Banbury road from Daventry where, in June and July, it was possible to catch and ring well over an hundred birds and still be home by just after nine am to take the family shopping! Always an interest in classical music, I have also sung in operettas and one appearance in a "grand opera" (Aida). Most of the former was with the Stamford Gilbert & Sullivan Players where I had the good fortune to appear, rather than star, in all save "Utopia". Protecting the environment - can you please help?